The only Abuja summer writing boot camp for 7 - 14 Years old boys and girls is here again. SUB THEMES: Short Story Writing, Kindness, Public Speaking, Money Management. 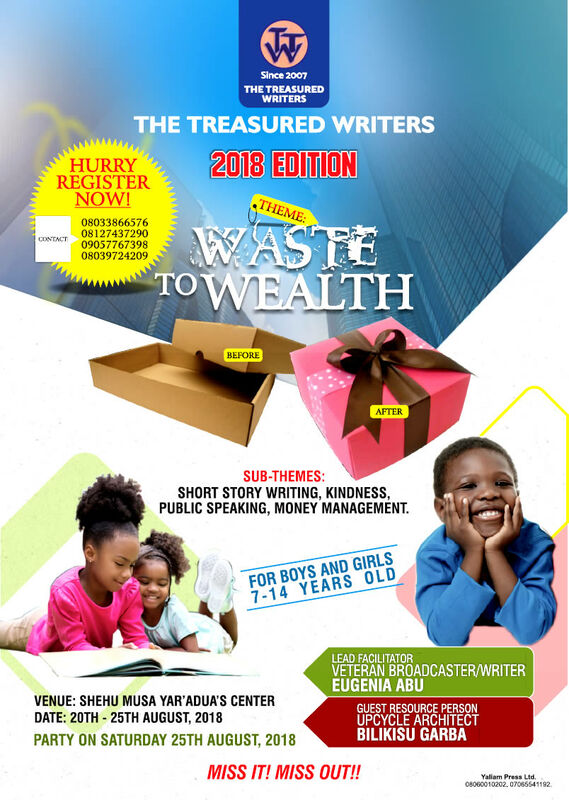 The Treasured writers TTW is here again, Register your children early. There will be Games, lessons learned, writing, animal stories, prices, nature stories and travel information. Don't miss out. Upcycle Architect, Bilikisu Garba and many resource persons and Facilitators to take care of your children. Please note: Party on 25th August!